I read Little Black Lies in September 2015 but still remember it really well which has to be a sign of a good book. This was definitely in the top end of my top ten reads for 2015 too and has been reduced on Amazon UK. 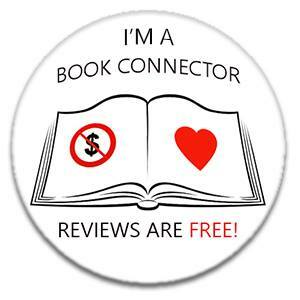 ‘I don’t often give five star reviews, they are a rating for a book that totally blew me away. This book didn’t blow me away, yet I have no hesitation in giving it five stars. Little Black Lies is incredibly well written, the story flows well and the characters are well developed and interesting. Catrin, the main character, is not particularly likeable, yet one can’t help but empathise with her. The story is told from the point of view of three people, Catrin, Callum and Rachel, each one giving something different and helping to tell the story. I am not hugely keen on books told from different perspectives, but this book doesn’t jump between the three viewpoints, the book is roughly divided into three and they each get their own section, making the book flow much better. I loved the setting of the Falkland Islands, it’s a place that I have never given much thought to but after reading this book it’s somewhere I’d love to visit. It’s such a perfect setting for this story. So while the book didn’t blow me away (and I guessed the ‘who dunnit’ quite early on, not that that mattered at all), I really enjoyed reading it and it was so well written that it has to be given five stars. I will definitely be reading more from Sharon Bolton. Pingback: Review: Daisy in Chains by Sharon Bolton.